As well as classes and workshops, Lillith provides one-to-one therapeutic sessions. Drawing on her multiple disciplines she prescribes movement and awareness exercises that you can use to heal yourself. Lillith works with people who are moving on from injury or illness, those who want to restore their health after a trauma and those who want to work with chronic problems of pain or posture. Lillith has spent more than 30 years working with people and their bodies, read her full bio here. Stretch therapy uses movement to transform specific issues with pain and inflexibility. Lillith uses a prescription of exercise to address your body’s particular need. She is experienced in working with people who are recovering from injury, ill health or giving birth; people who are managing a long term illness or chronic pain; and those wanting to overcome postural problems. Where: Active Health Center or at your home. Duration: 1.5 hours per session, frequency and number of sessions depends on what you are working on. Fees: €95 per hour, bookings confirmed with deposit payment of €95. Bookings: call 020 612 3724 or click below. Questions? Call Lillith on 020 612 3724 to talk through your questions. The therapeutic process of Bothmer Movement re-educates the body and its movement habits, taking you through a subtle process of self-development. Through our experience of life’s challenges and trauma the balance between right-left, front-back and above-below can be disrupted. Using the exercises developed in Bothmer Gymnastics, this therapy helps restore balance – strengthening your relationship to your body and enabling you to inhabit the space around you more fully. Lillith is a Certified Bothmer Movement teacher and the only therapist in the Netherlands. Read her full bio here. Duration: 1 hour per session, frequency and number of sessions depends on what you are working on. Chirophonetic Therapy is used effectively in clinics, schools and curative centers for the treatment of many medical conditions, including asthma, allergies, insomnia and enuresis. Chirophonetic Therapy also helps those experiencing emotional problems. For children with auditory processing disorder, autism and other sensory difficulties, this therapy helps increase the ability to absorb and process sounds. For some, it has also helped the child become more receptive to the moods and relationships occurring around them, and helped them become more relaxed and at ease within themselves. Chirophonetic Therapy uses the sounds that make up speech to alleviate heightened tension or inflammation and enable the body to return to a healthy state. The therapist provides the experience of sound and touch together; the body uses this information to perceive sound through the touch sense. 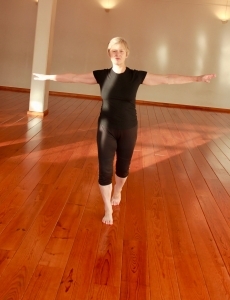 Lillith is one of a handful of practitioners in the Netherlands, read her full bio here. I took a course in Baby Embodiment with the founders of the practice, Ingrid Ruhrmann and Beate Döpke. I realised that it was the missing link in my work. I’ve incorporated my learning into the work I do with both the mother and baby recovery classes and my therapy clients, but what is Embodiment?